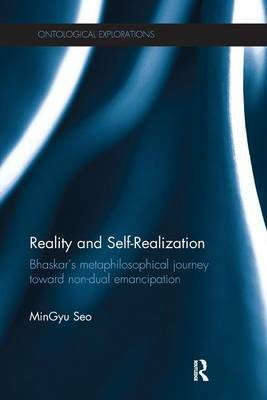 MinGyu will conclude that his anti-anthropic Non-duality continues through all the steps of Bhaskar's thought, maintaining the consistency of his scientific, metaphysical, and spiritual journey. The anti-anthropic motif is fully realized in the philosophy of Non-duality - the `constellational identification of dualism, duality and non-duality' in his meta-Reality. Defending Bhaskar against Collier, Agar, and Morgan, MinGyu tries to show how its anti-anthropic and non-dualistic foundation is sustained through the whole of Bhaskar's journey, involving a transformation of its subject matters from reality, to the dialectic of reality, to the real truth underlying the former stages. This book provides an indispensible resource for all students of philosophy and the human sciences.